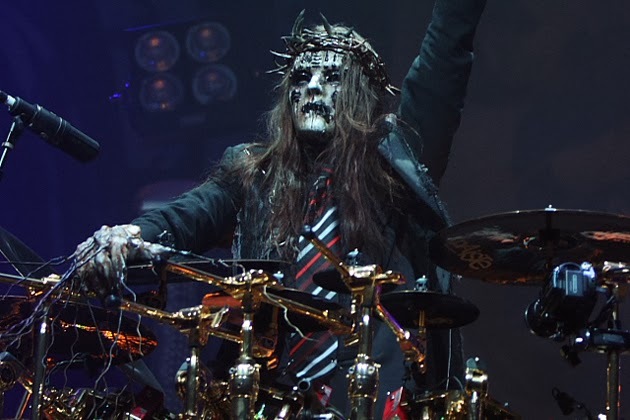 Drummer Joey Jordison and Slipknot have parted ways. The shocking news was released via a statement from Slipknot on the band’s official website this evening (Dec. 12). During Slipknot’s break from heavy touring and writing new material, Joey Jordison has dedicated himself to the new band Scar the Martyr. Along with releasing a self-titled debut album with the act, Scar the Martyr performed a number of shows to introduce Slipknot fanatics and other potential metal fans to Jordison’s new project with guitarist Jed Simon (Strapping Young Lad), guitarist Kris Norris (Darkest Hour), bassist Kyle Konkiel (In This Moment), keyboardist Joey Blush and singer Henry Derek. 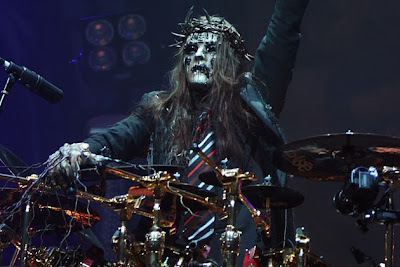 It is with great pain but quiet respect that, for personal reasons, Joey Jordison and Slipknot are parting ways. We all wish Joey the best in whatever his future holds. We understand that many of you will want to know how and why this has come to be, and we will do our best to respond to these questions in the near future. It is our love for all of you, as well as for the music we create, that spurs us to continue on and move forward with our plans for releasing new material in the next year. We hope that all of you will come to understand this, and we appreciate your continued support while we plan the next phase of the future of Slipknot. Stay tuned for more updates on Joey Jordison and Slipknot as news continues to break.